You don't want to leave your college dorm room walls bare. It's going to make your dorm room feel oddly lonely and it's also going to detract from your dorm room decor a little bit. You want to make your dorm room feel like a home away from home and ultra cozy. And that goes beyond your dorm bedding - you want to make your college room comfortable right down to the wall decorations for dorms on your dorm room walls. Our ASSAF FRANK New York College Door Poster is a gorgeous college poster that will be a beautiful addition to college wall decor! This dorm essentials item is absolutely stunning to look at. 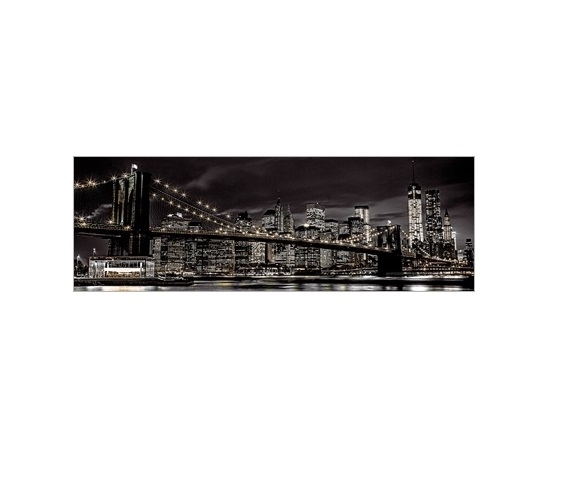 This college supplies item features the famous and gorgeous New York City Skyline in black and white against a black sky. This whole dorm poster pops with design and style that will look great in dorm decorations. The black and white colors of this dorm necessities item will make the colors of your other dorm room decorations pop with our ASSAF FRANK New York College Door Poster as a backdrop. Our ASSAF FRANK New York College Door Poster is oversized so you aren't getting just a basic college poster - you're getting a large dorm poster that will be perfect for centering your dorm bed underneath for a unique look!